Make 2 beautiful, colorful flower bouquets appear quickly and easily. Perfect for parlor and stage magic shows. 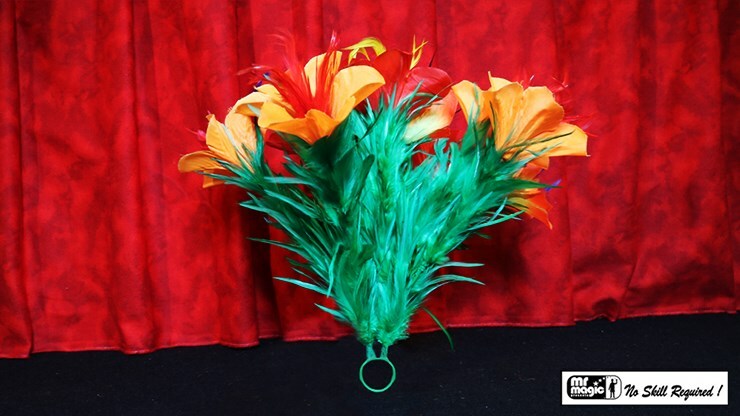 Includes 2 high quality flower bouquets made of cloth, with a handy ring at the base of each bouquet. No more feathers flying everywhere! Cloth flowers are more durable and natural-looking than many other bouquets on the market. Load 2 bouquets in the sleeves of both hands, and you can produce one after another, making a big impact on your audience. They love it!